It premiered in Los Angeles in 1976, and has since been performed in theatres all over the USA, and won rave reviews in London at the Regency Theatre in 1978. 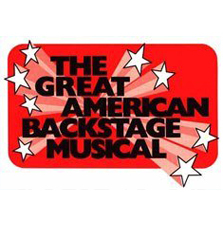 Performances for The Great American Backstage Musical, in the USA and elsewhere (except New York City) are licensed by Samuel French, 45 West 25th Street, New York, NY 10010 - also Hollywood, London, and Toronto. Click here for more about The Great American Backstage Musical. "The music and lyrics, crafted by Bill Solly, are reminiscent of Cole Porter's fiendish cleverness. 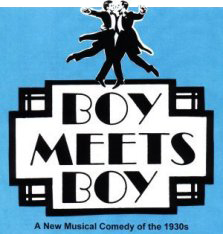 Boy Meets Boy is a skilled exercise in nostalgia and great fun to see." Click here for more about Boy Meets Boy. "Hilarious – an icy summer treat!" 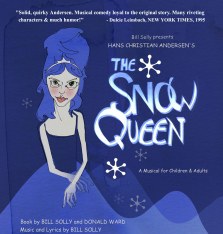 Click here for more about The Snow Queen.